Kitchen on Fire. Where cooking is fun! 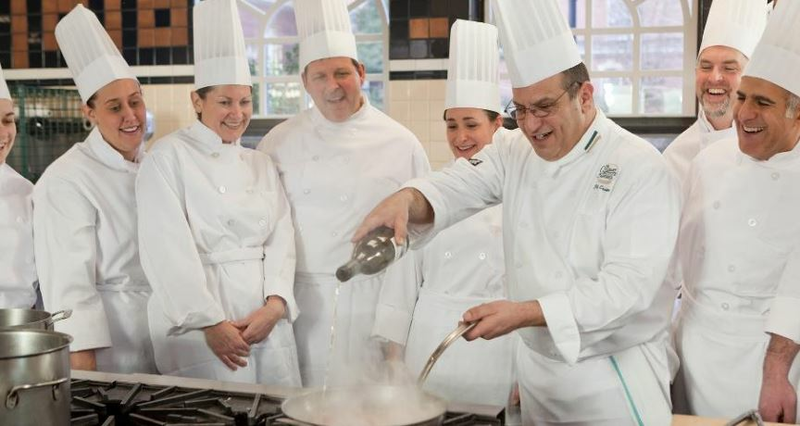 Sign up today for Kitchen on Fire’s award-winning cooking classes! Led by Michelin-starred and classically-trained chefs, our classes are designed for everyone from professionals to inexperienced home cooks. 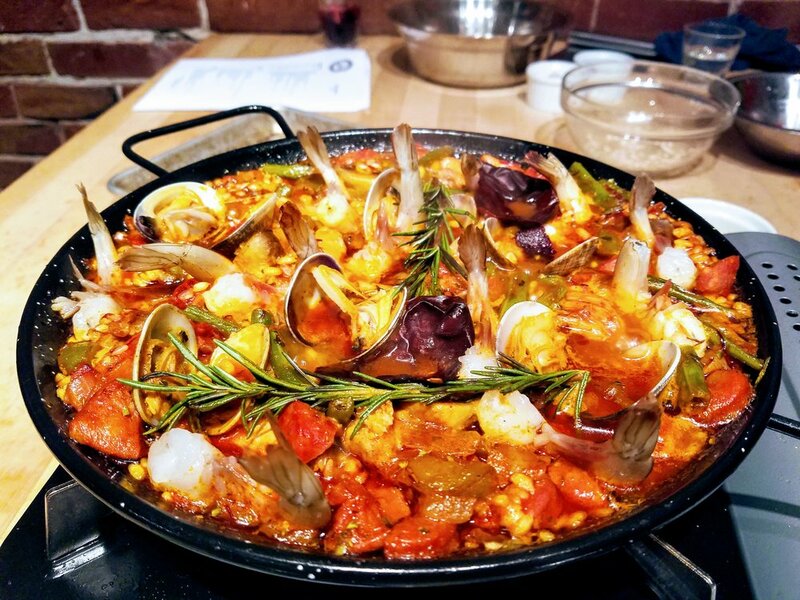 Our hands-on, cooking parties are a great way to celebrate any occasion, bond with your coworkers or just have a fun and delicious night out. Whether you’re an amateur or beginner in the kitchen looking to progress beyond boiling water or an advanced home cook wanting to take your cooking to the next level. 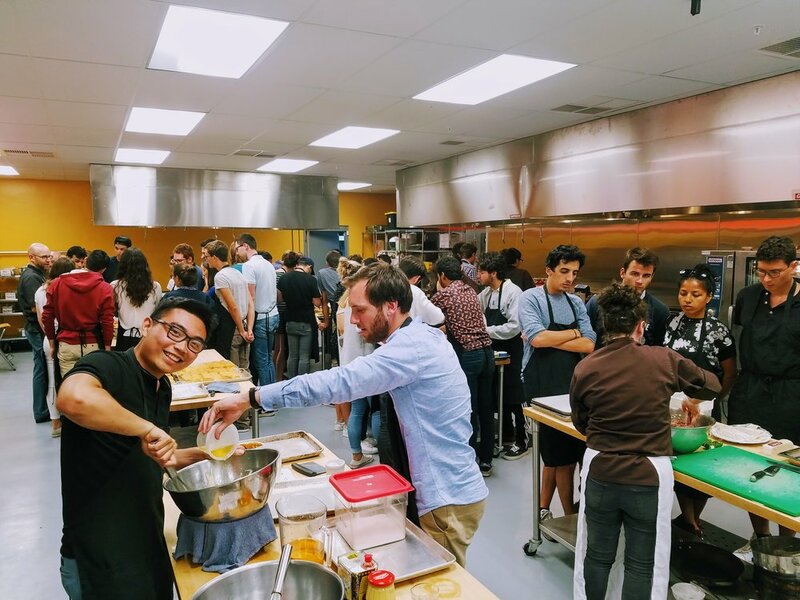 Whether you are looking for a fun way to foster healthy competition and communication in the office, or a house-party vibe perfect for birthdays, graduations, showers or rehearsal dinners, we have the perfect cooking event for you! The holiday season is here, but before your start to stress about gifts ... we've got you! GIVE THE GIFT THAT KEEPS ON GIVING WITH A KOF GIFT CERTIFICATE! 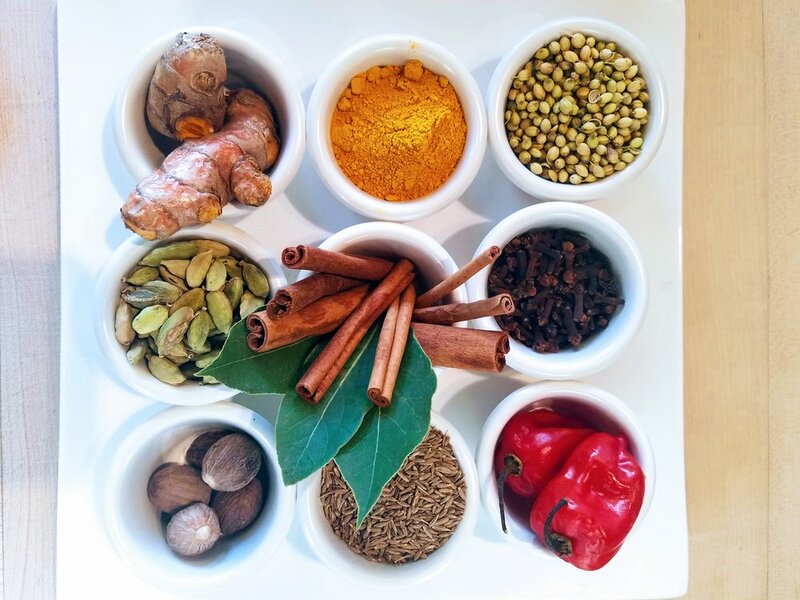 Hands-on cooking classes and workshops offered at our two kitchens in Berkeley and Oakland. 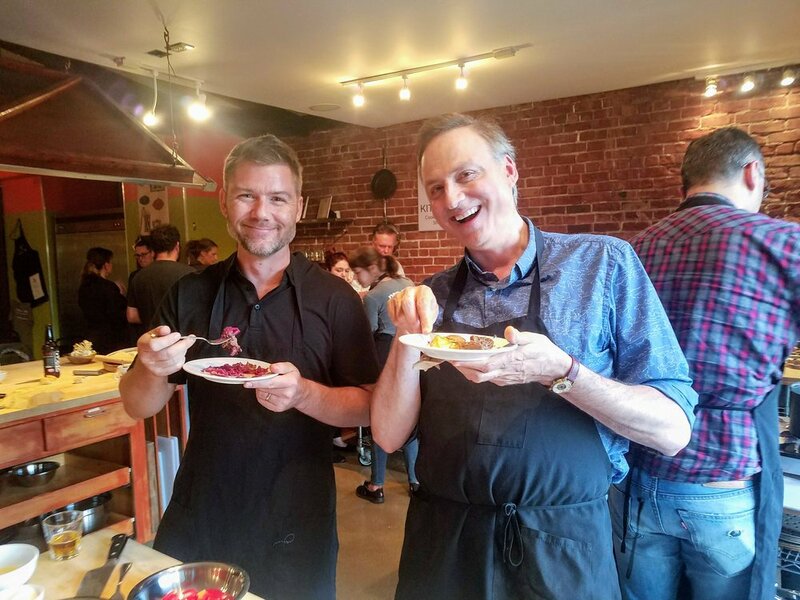 Team building cooking events and private parties hosted at Kitchen on Fire, catered office lunches, and more. fun cooking classes for everyone! Founded in 2005, Kitchen on Fire is located in Berkeley’s Epicurious Garden, an expansion and continuation of the gourmet cuisine legacy started by Alice Waters at Chez Panisse more than 30 years ago. Our new location in Oakland brings even more cooking to the East Bay! Whether you’re an amateur in the kitchen looking to progress beyond boiling water or an advanced home cook wanting to take your cooking to the next level, Kitchen on Fire’s 12 Week Basics of Cooking Series is just right for you. We go beyond merely teaching recipes, to explore the techniques that are the foundations for all recipes. By understanding what’s “under the hood” of a recipe (what makes it work) helps you pull it off to perfection every time. You’ll learn the basic science and proper cooking methods that will make all cooking a breeze, from quick weeknight family meals to entertaining for a crowd! One professional chef instructor per 9 students. With deep passion for sharing delicious food and life-long dedication to healthy living, co-owners Olivier Said and Lisa Miller can be found in the kitchen or working with students or clients in some capacity every day of the week. Purchase one of our specially KOF branded t-shirts and hats. Also available or kitchen tools, books and such! See what people are saying about Kitchen on Fire!